Serkan Cayoglu was born in 31 May 1987 in Karlsruhe, Germany. 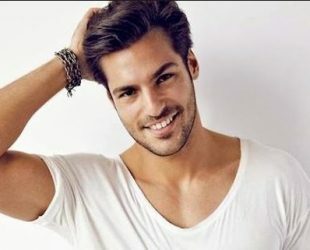 Is a Turkish actor and model, Known for “Kiraz Mevsimi” (English: Cherry Season). He studied in University of Erlangen. When he was 7 his family moved to Germany and his parents still living in Germany. He and his two sister are living in Istanbul. As of 2017 he is playing in Turkish tv series “BÖRÜ”. As our records, he is dating with cast-mate Özge Gürel. Has two cats named “Leyla” and “Zeynep”. Support Besiktas F.C. and has over 3 million fans on social media.